Let’s admit it, arranging an event with your group can be stressful at the best of times, and even more so with Christmas just around the corner. Where will you go? Is everywhere already booked up? How much will it cost? How will you get there? Will Sue from accounts pick a fight with Mike from marketing again like last years Christmas party? We could go on. Now, we may not be able to stop Sue having one too many beverages, but there is one way to eliminate some of the stresses you’re going to be having when trying to gather the troops for an event or trip away: Travelling by coach. 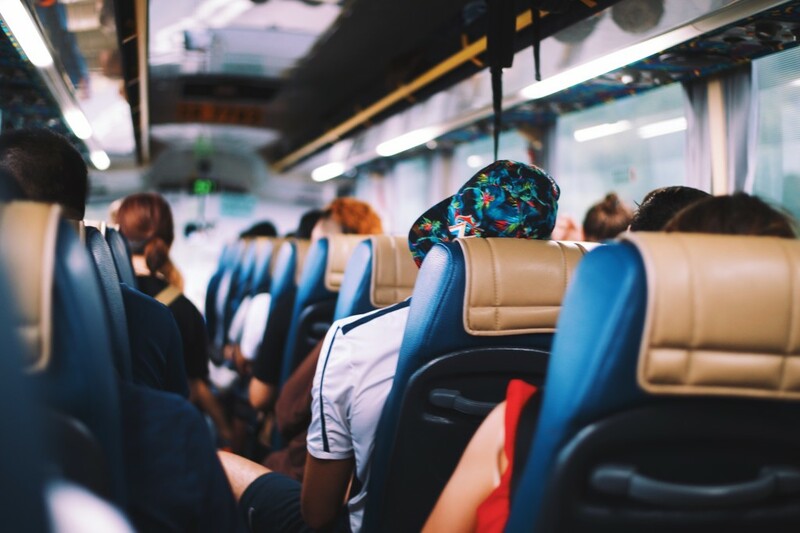 Regardless of whether you are heading for a day out in London with your local rugby team, arranging your Christmas party for work, or simply heading off on holiday with a large bunch of friends, coach travel is becoming a far more popular option for those travelling in larger groups. Having a coach hire company arrange and organise the travel can lift a heavy burden, allowing you to enjoy your trip/journey/outing more thoroughly! There’s no need to worry about how people will get there or when people will arrive. There’s no need to panic about which route to take or how to navigate the busy London streets, and there’s certainly no reason to wonder how you will get back home. Travelling by coach eliminates these stresses so sit back, relax and enjoy the journey! If you’ve been lucky enough to experience the wonder that is the tube, or any other public transport at 5:00 pm on a Friday night, then you know any option other than travelling by public transport is a blessing. Especially for trips in and around the city, there is no better way to travel by coach. Modern coaches are all equipped with toilets, air conditioning and even coffee machines. They are well maintained, spacious and provide comfort to the highest level. The common misconception about coach travel is that the prices are extortionate and do not warrant a trip in the first place but this simply isn’t true. Coach travel represents excellent value for money, especially when the price is distributed between passengers in a group. Fuel, tolls and parking prices all add up, and so travelling by taxi and train can prove expensive by comparison. Safety embodies every service that coach hire companies provide; it is, of course, their job and responsibility to cart people to their destination in the safest possible fashion. Not only are modern coaches fitted with the newest safety seats belts, you are also being driven around by a professional driver who knows where they’re going and the best way to get there; giving you peace of mind that you can remain safe when you’re making your journey. Now, I know what some of you are thinking. Surely, it’s counterproductive to use heavy duty coaches and buses to travel with your group– aren’t these diesel guzzling motor vehicles the ones that are causing the majority of pollution in our air? • A Coach generates 1/6th of the carbon dioxide emissions of air travel, ½ of rail and nearly ¼ of a car. • Coaches also help cut congestion, a single coach of 50 people or more equates to at least 20 cars on the road whilst taking up the space of just two cars. • Travelling by coach causes less pollution, per person per kilometre, than it would do travelling as a group on a train or in a car. Need to arrange travel for your group? Get in contact today for your no-hassle free quote.